Are you feeling adventurous? 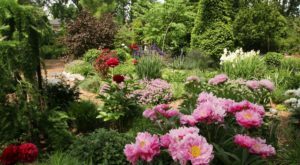 If so, there’s an amazing park may be just what you’re looking for. 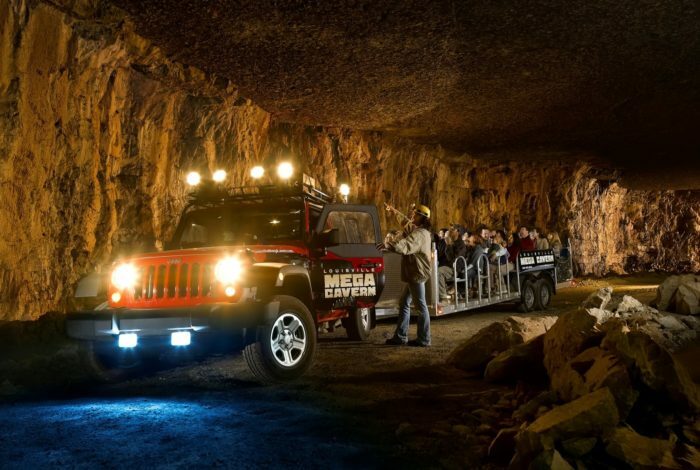 Hidden beneath the ground in Louisville is perhaps the greatest adventure park of all time: the Louisville Mega Cavern. 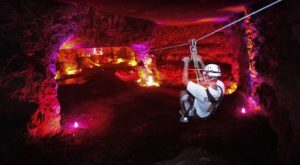 Not only does it have zip-lining, rope-climbing, and other attractions to get your adrenaline pumping, the whole thing is deep under the ground, which makes it even more exciting! 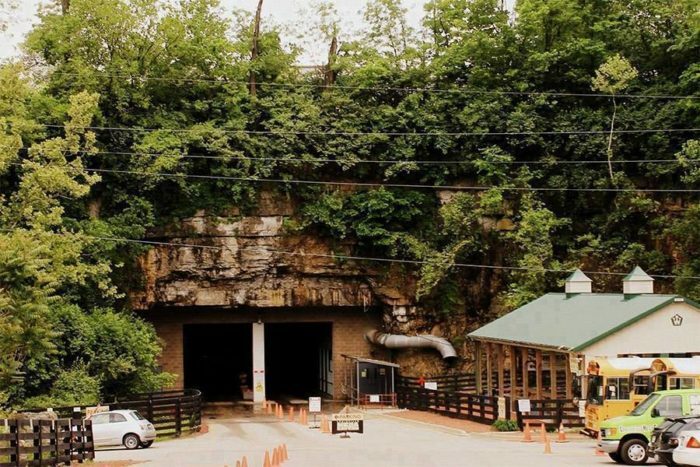 Many people are tempted to believe that the Mega Cavern is a part of the Mammoth Cave System in Kentucky, but it is actually a man-made cavern located beneath the Louisville Zoo. It was built during the Great Depression in the 1930s. 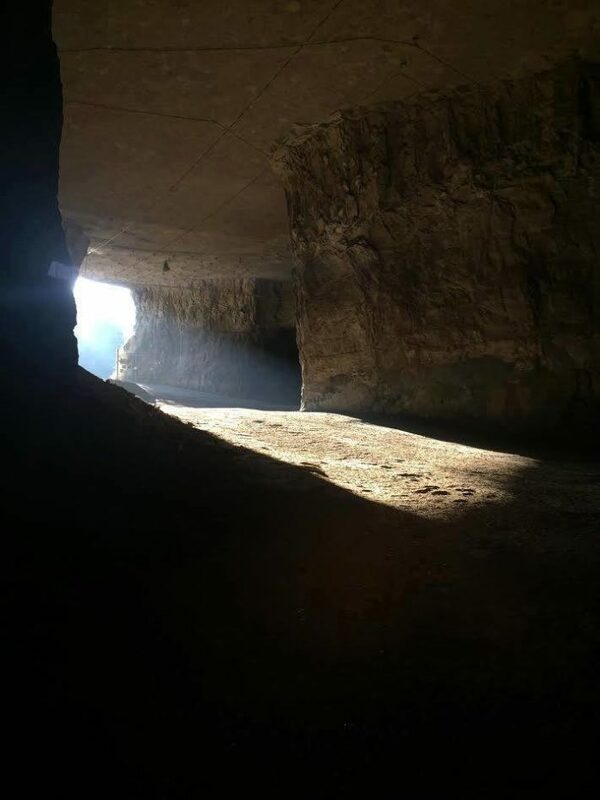 While most people were struggling financially at this time, Ralph Rogers, the founder of this cavern, had a very successful business mining the limestone here. 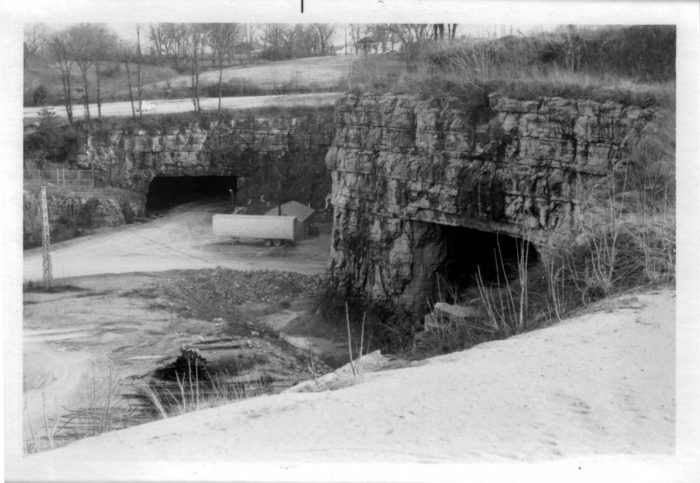 The mine, which takes up over 100 acres of space, later became known as the Louisville Mega Cavern. This space, interestingly enough, is actually considered to be a building – the largest in Kentucky! After the limestone mining stopped, the cavern was designated as a nuclear fallout shelter and a tornado shelter, before becoming an enormous storage facility for businesses who want to securely store materials in the very last place anyone would look: underground. Today, this cavern has a lot more to offer than just storage space. 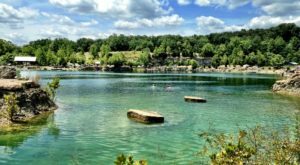 A large portion of the 100 acres has been turned into an underground adventure park. 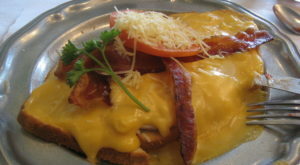 One of the most popular attractions is zip-lining. 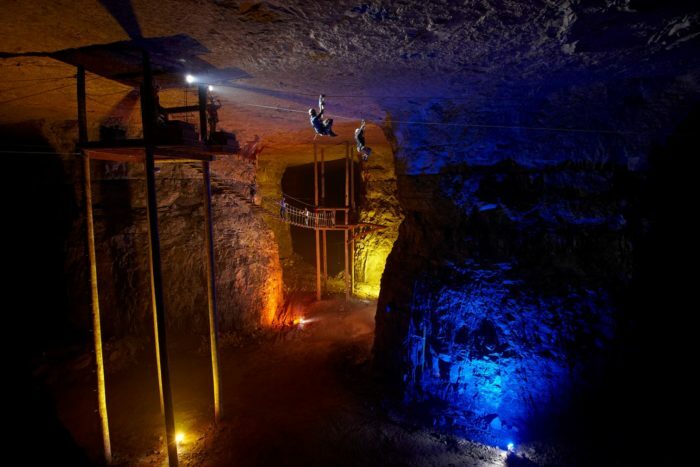 Strap yourself into a harness and take a two hour tour of several deep, previously unexplored sections of the cavern as you ride through the air on a (very safe) steel cable. If soaring through the air is a bit too adventurous for you, you can also take a tour on the Mega Tram. 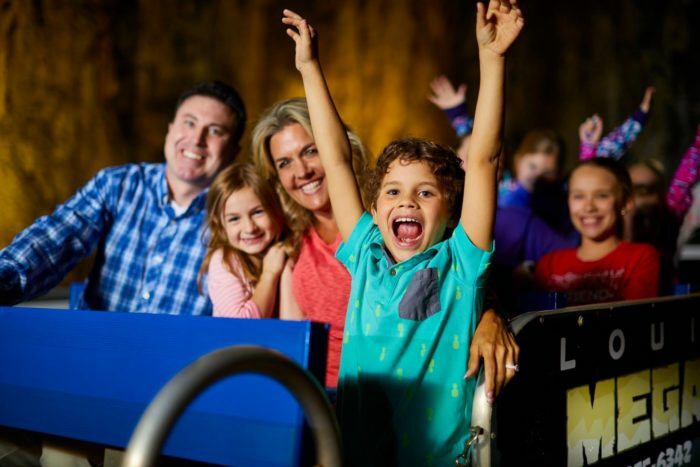 This enormous tram takes visitors of all ages on a scientific and geological tour during on which you can learn all about the rock formations in the cavern, as well as its history. 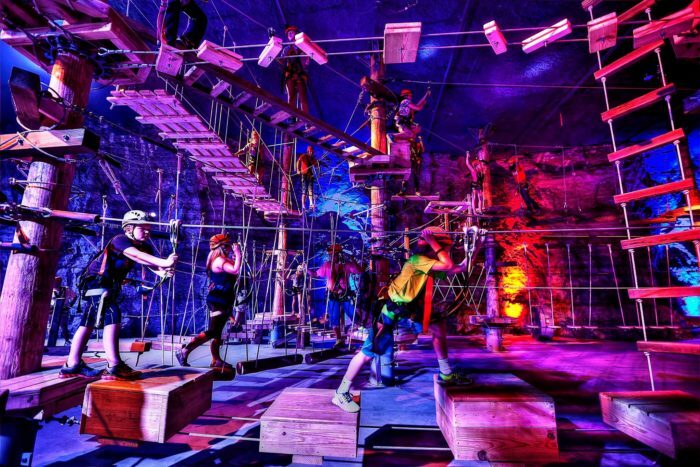 For those visitors seeking more action in their adventure, there is Mega Quest - an aerial ropes challenge. This course, which includes rope bridges and other constructs that you must climb and pass through in order to reach the finish, is one of only twenty such courses in the country – and one of the only ones that is completely underground! 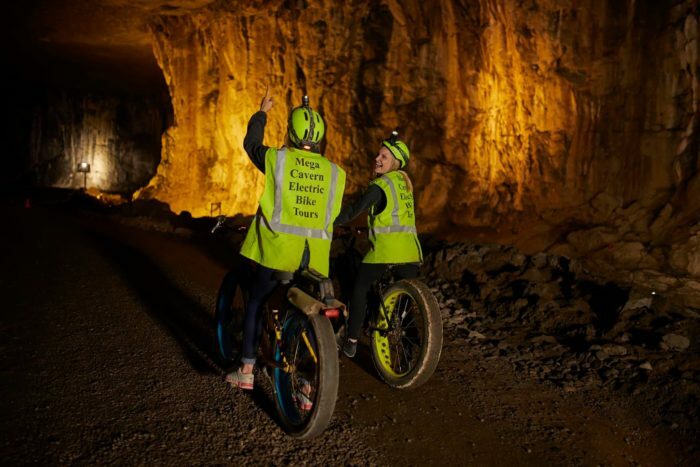 The Mega Cavern also has a BMX bike course, as well as an Electric Bike Tour. 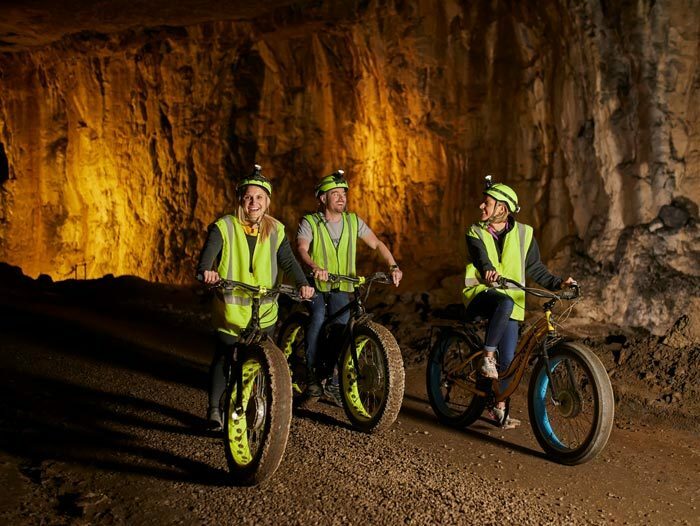 The latter requires little to no peddling, as visitors ride electric bicycles on a ninety minute tour of the cavern. 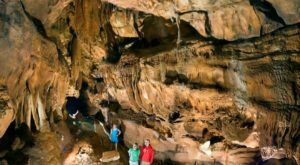 This tour is the only attraction that allows visitors to venture into every area of the cavern, and even offers the opportunity to experience a moment of total and complete darkness, which is far more exhilarating than you might think! There are very few places to go where absolutely no light filters in, but we have one of them right here beneath our streets! Keep in mind, this particular attraction does have some safety restrictions: you must be taller than 5’2" and weigh less than 285 pounds to ride the electric bikes. 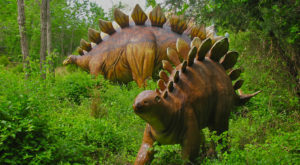 As this tour is one of the most adventurous ones in the park and requires more detailed instructions, it is not open to those who are hearing impaired. 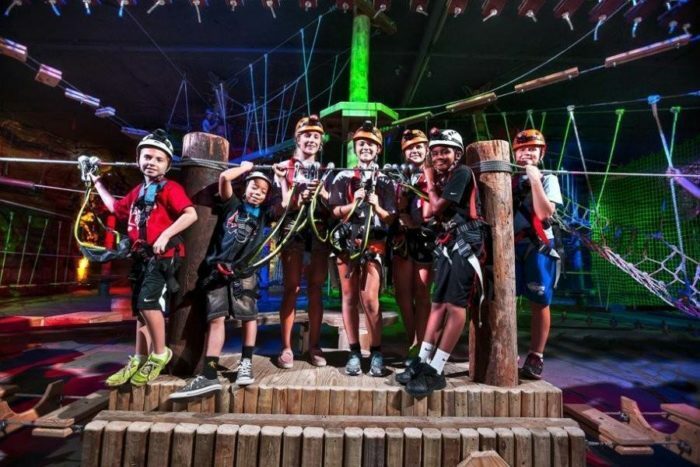 This underground adventure park has activities that are open all year round (it even hosts a spectacular Christmas lights show in December!) and the air inside is always at a comfortably cool, 58-60° Fahrenheit. 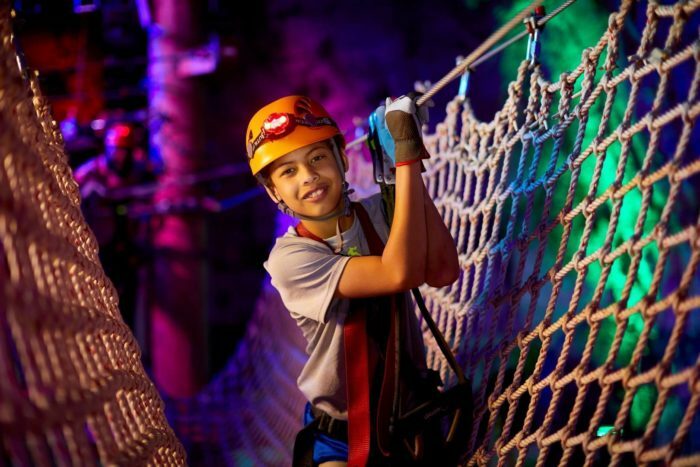 To start your adventure today, visit the Louisville Mega Cavern website to make a reservation and stay up to date on special events and activities on their Facebook page here. 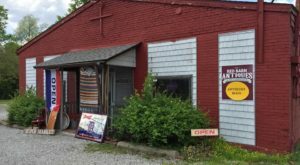 You’ll find the Louisville Mega Cavern at 1841 Taylor Ave., Louisville, KY 40213. 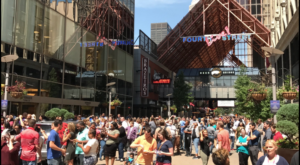 Have you ever been to the Louisville Mega Cavern? Which activity fulfilled your adventurous spirit? Share your favorite experiences in the comments below!